Its becoming more and more popular for people to record high quality driving videos while driving their car, motorcycle, dirt bike or their jet ski. People post videos on youtube that are incredible and very entertaining to watch. But sometimes you may wonder, how do they manage to put a camera on top of their car or vehicle to record high speed stunts or races. The answer is the GoProHero camera that can capture the most amazing moments at high speeds, and even under water. There are so many different ways to mount a GoPro, some require a clamping mount, or a strap that goes around your chest, and there are also some types of GoPro mounts that works as a head strap. But if your looking for something that is going to do a great job of recording driving footage or racing from the perspective of the outside of the car. The best thing you can do is to get a GoPro Suction Cup Mount. The main reason why the GoPro Suction Cup mount is my favorite way to record car videos is for a few reasons, first and foremost I can say that it is very durable when you consider the wind and speed that it can endure when you are driving at high speeds. In fact, the GoPro Suction cup mount is so strong that it can endure speeds of over 150 mph because it is an industrial strength GoPro Suction Cup Mount that can really handle quite a bit of force. But it is very important to make sure that you know how to properly place your GoPro in a way that is secure and reinforced. 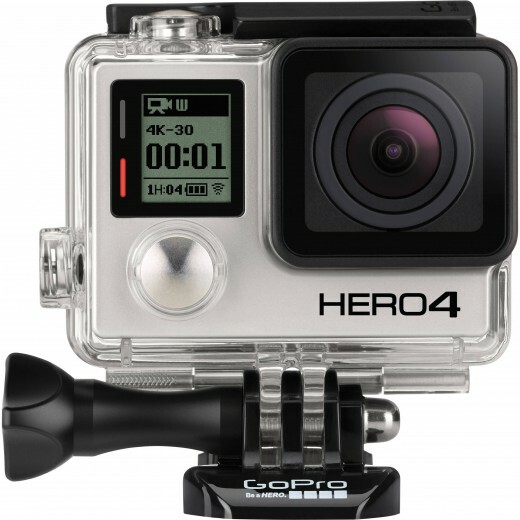 In addition to its durability and convenience, the GoProHero4 Black is capable of capturing video in 1080p at a very high rate of frames per second and it can also capture video in 4K, which makes it one of the only cameras on the market that can produce 4K quality film at a very high rate of speed. It is very simple to place a suction cup for a GoPro camera, simply push the suction cup button inwards and push firmly on the surface that you are attaching the GoPro mount to. 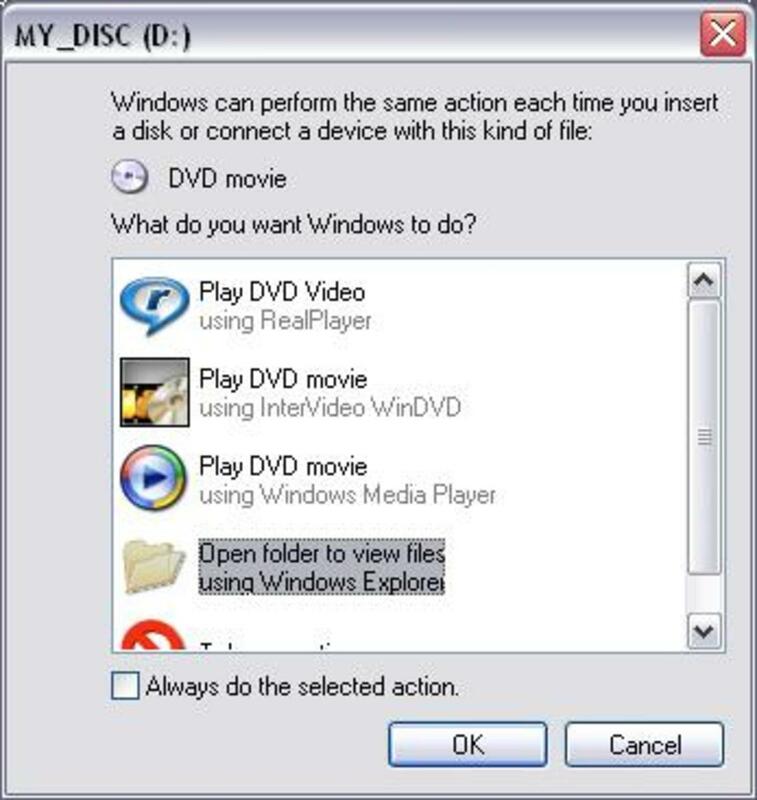 Also make sure that the surface is clean, or at least wiped off. Once you do this, and it is as simple as applying pressure downward and pressing a button to enhance the suction of the suction cup. You can see what the video quality and positioning looks like from this sample GoPro video taken in a BMW M3 driving with the GoPro on the windshield. It is also important to read the instructions that come with GoPro suction cup mount because some brands may not be as reliable as others. I personally recommend that you buy the GoPro suction cup mount that is made by GoPro because that I what I use, and if you choose another brand just make sure that they are a very reputable company with good reviews. In some cases, extra caution should be taken when using it in extremely cold or hot temperatures or if you are in a very rainy situation. It's a good idea to give the Gopro a quick tug or push to make sure that it is firmly placed and reinforced on the surface that you are placing it on. Although it is extremely rare, there is a chance that your GoPro will fall off of your car when it is mounted on the suction cup. If this does happen, its usually because the user did not position the suction cup on a clean surface or did not properly use the suction cup to maximize suction. But if it does happen, there is a way to protect your GoPro with a tether that will hold onto your GoPro in the event of a suction cup that no longer is attached during a high speed video or during an unusually powerful impact. Motocross is a very popular sport but recording your stunts while riding is pretty much impossible unless you have a GoPro Camera. Not only is the image quality incredible at high speeds, but you would be amazed with how strong and durable the camera is when you end up falling off of your dirt bike. There is also a waterproof GoPro skeleton that comes with the GoPro if you decide to buy one, so if you end up riding on a day where there is a lot of mud on the track there is nothing to worry about because the casing is designed to protect the camera from serious impact and from moisture if you are using the Waterproof GoPro Skeleton. There are also different ways that you can mount your GoPro camera on your helmet in order to achieve the most desirable view, and all of the different mounts come with the camera. 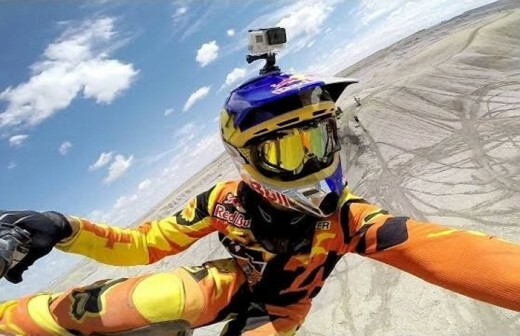 Personally, my favorite way of mounting a GoPro on a motocross helmet is on the side because it is able to capture a very unique angle that really captures the best point of view. In the video to the right you will see how sweet it is to record yourself when riding on a dirt bike when the GoPro is attached to your helmet.